NWA 8655 Meteorite 24.7g 8655-7 - The Meteorite Exchange, Inc. 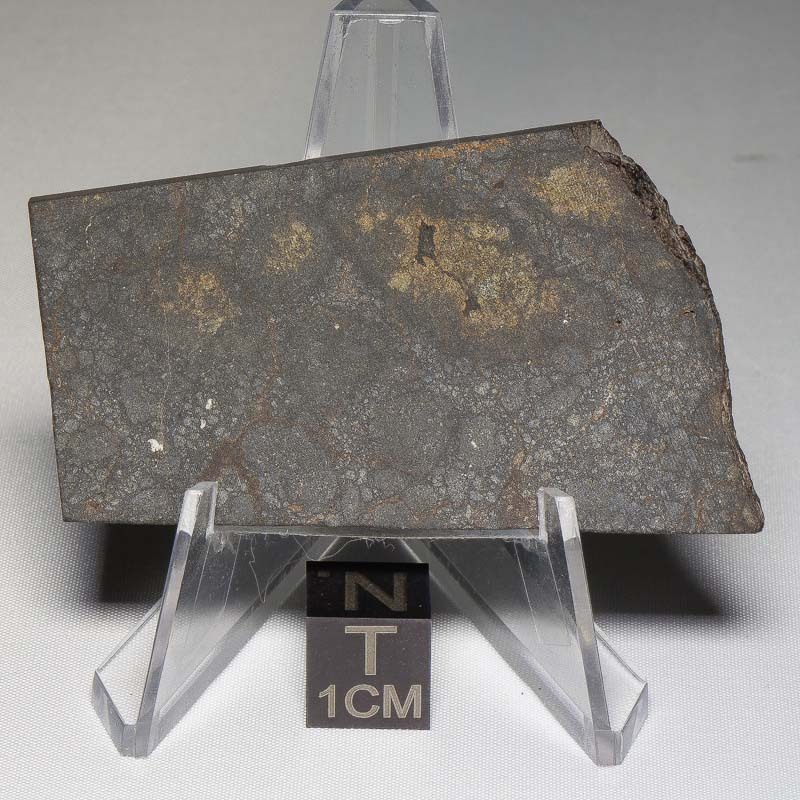 The NWA 8655 meteorite has been classified as a LL5 melt breccia which has a dark, very fine-grained matrix with recrystallized clasts containing scattered, somewhat large (up to 2.8 mm) remnant chondrules. The dark matrix is fine-grained and contains rounded troilite blebs and shred like grains of metal which indicate melting.